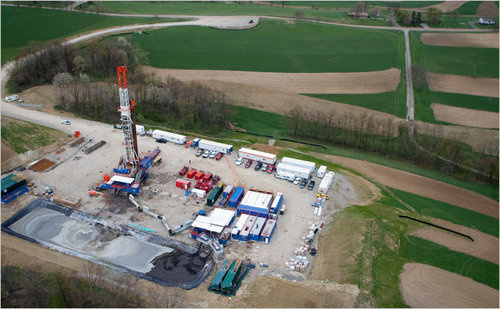 Why Solving the Natural Gas Fracking Conundrum Matters – A LOT! In our earlier blog posts, The Natural Gas Fracking Debate: What Is Fracking and Why Does It Matter?, we discussed the environmental issues involved with fracking. Our discussion examined why it is unclear whether we’ll get such issues resolved or whether public opposition could lead to restrictions on use of shale gas and other reserves. In this post, we’ll discuss why it is very important to find a way to safely frack. The ability to exploit reserves via fracking is critical both from an environmental protection standpoint and from an economic development standpoint. Despite our currently fractured political arena in Washington, this issue should be one that both sides of the debate should desperately want to solve and then demonstrate to the public that it has been solved. Here’s why. We need electricity to power our society. And, while energy efficiency can help mute demand growth, it can’t replace the need for generation or eliminate electricity’s rapid growth in the developing world. At some point, scientists and engineers can envision a world without use of fossil fuels for generation. But even the true optimists talk about this happening in 20 years – not tomorrow. Others envision a world powered by a revitalized nuclear industry and/or one driven by coal where carbon emissions are captured and sequestered. But again, these visions are decades into the future. In the meantime, natural gas is the only fuel that can bridge the gap while reducing environmental impacts. The largest reserves are located in Russia and the Middle East. In fact, if just conventional reserves are considered, about 40% of the world’s natural gas reserves are located in just two countries: Russia and Iran. So for geopolitical reasons, dependence on international conventional reserves may not be the best strategy. And from an economic standpoint, as of late September 2011, spot LNG trades for around $10/MMBtu in Europe and $16/MMBtu in Japan compared to a U.S. spot price of less than $4/MMBtu. We have already seen industrial companies with a large demand for natural gas ramp up production in the U.S., which helps in a weak employment environment. Ongoing growth of non-conventional gas supplies through fracking promises to continue this advantage for the U.S. economy. Where does this scenario leave us? Gas and oil production companies may have believed that fracking’s potential to spur economic growth would outweigh the public’s concern about the environmental impacts of fracking. But that seems unlikely now given the public distrust in a post-Gulf oil spill world. The only way to move forward is for oil company executives, environmentalists and government regulators to unite and implement reasonable concrete ways to frack with limited impact on the environment. And then they will have to work collectively to convince the public that the issues have been resolved correctly. If this can be accomplished, we’ll have an opportunity to clean up our power production and transportation sectors while lifting ourselves out of the country’s current economic malaise. This entry was posted in Natural Gas and tagged Energy Education, Energy Regulation, Energy Training, Frack, Fracking, Hydraulic fracturing, Natural Gas, Natural gas education, Natural gas industry, Natural Gas Training. Bookmark the permalink.